Preparing for the AWS Big Data Specialty exam? We’ve got you covered with the fully updated AWS Big Data Specialty practice tests based on the latest exam standard. Amazon Web Services (AWS), the leading cloud service provider has become popular among the AWS professionals due to the certifications it offers. AWS Certifications provide the recognition for the skills one have to work on the AWS platform. Thus, provide your skills the validation and demonstrate it among the employers and peers. AWS Certified Big Data Specialty exam is one of the specialty level certifications offered by Amazon Web Services. This exam is intended for the candidates who are responsible to perform complex analysis on big data. AWS Big Data Specialty exam validates the expertise of the individuals in the design and implementation of AWS services to get insights from the data. Why Should One Go for AWS Certified Big Data Specialty Exam? AWS Certifications validate your skills and help you stand out of the crowd. AWS certifications are helpful for those who are aspired to land one of the top AWS Jobs in the cloud market. If we consider AWS Big Data Specialty exam, it validates the ability of examinee to design and maintain big data, leverage big data analysis tools, and implement AWS big data services. 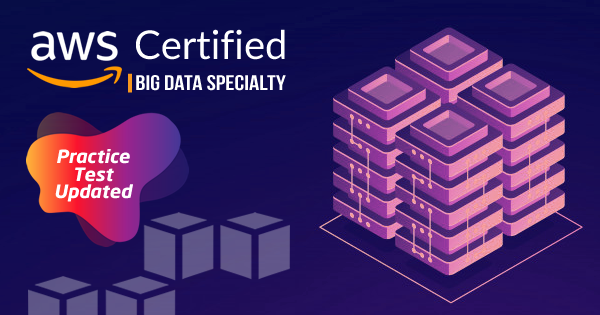 If you are the one who wants to give your AWS big data skills and expertise a recognition then you should go for the AWS Certified Big Data Specialty certification. Below are the reasons why you should go for the AWS Big Data Specialty exam. Preparing for AWS Certified Big Data Specialty exam? Follow this AWS Big Data Specialty exam preparation guide and get ready to pass the exam. Specialty level exams are considered to be the most difficult level of exam among all the AWS Certifications. Amazon Web Services keeps on changing the standard of the questions in the exam to maintain the level of the exam. We, the team at Whizlabs are aimed to provide you the up-to-date and best-in-industry preparation material. We are dedicated to helping you in your AWS certification preparation, so you could pass the AWS certification exams in the first attempt. So, to cope up with the regular changes of the AWS Big Data Specialty exam, we have completely updated our AWS Big Data Specialty Practice Tests. Let’s have a look at what we are offering in the set of AWS Big Data Specialty Practice Tests. Now, you will receive a completely new set of the AWS Big Data Specialty practice questions. Whizlabs AWS Big Data Specialty exam simulator will give you the experience of the actual exam so you will be confident to face the real exam. You can try 15 Free Practice Questions for AWS Certified Big Data Specialty certification exam. Access your Free Test Now! 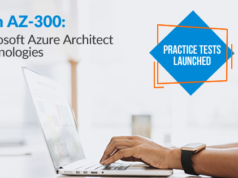 How will Whizlabs AWS Big Data Specialty Practice Tests Help You? While you have understood what you will get when you purchase the Whizlabs AWS Big Data Specialty exam simulator. 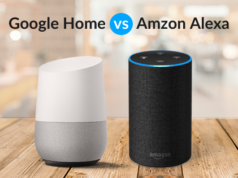 Now you may think if Whizlabs AWS Big Data Specialty practice tests are really helpful or how the Whizlabs AWS Big Data Specialty practice questions will help me in my exam preparation. To clarify your doubts, here we describe how Whizlabs AWS Big Data Specialty practice tests will help you. We offer you AWS Big Data Specialty free test with 15 questions, so you can try the free test before purchasing the full-length practice tests for AWS Certified Big Data – Specialty exam. Whizlabs AWS Big Data Specialty practice tests are solely focused to cover all the exam objectives of the exam. So, it will check your preparation in different domains covered in the exam. AWS Big Data Specialty exam simulator consists of the detailed explanation for every question. You will get an exhaustive explanation for every correct and incorrect option. You will get the domain-wise test report for your attempt, so it will help you to find your weak areas and you will be able to work hard to improve them. Whizlabs practice tests for AWS Certified Big Data – Specialty exam check your preparation level for the exam. If you score well in the practice tests, it makes you confident that you are prepared for the real exam. Not only practice tests, but you will also get 24/7 customer support and expert assistance to resolve your queries related to the AWS Certified Big Data – Specialty certification exam or the preparation. Worth mention, Whizlabs AWS Big Data Certified Specialty exam comes with the lifetime validity and you get unlimited access to the practice tests. So, you can take practice tests as many times you want to become fully confident about your exam preparation. 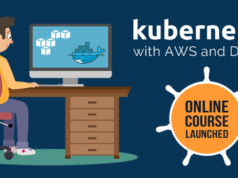 Are you confident about your preparation for the AWS Big Data Specialty exam? Check your preparation level now with AWS Certified Big Data Specialty practice tests. Ready to Start Your Preparation for the AWS Big Data Specialty Exam? So, have you made your mind to take the AWS Certified Big Data – Specialty certification exam? We have also brought a comprehensive AWS Big Data Specialty preparation guide for you. When you are done with your AWS Big Data Specialty exam preparation, it’s the right time to check your preparation level with the AWS Certified Big Data Specialty practice tests. Good preparation is always good for an exam but good practice is equally important. So, to help you in your final preparation, Whizlabs AWS Big Data Specialty practice tests will be an important resource. Don’t think much, give your preparation a new edge with the updated AWS Certified Big Data Specialty practice tests. Have any queries or concerns regarding AWS Big Data Specialty exam or its preparation? Participate in the Whizlabs Discussion Forum and get all of your queries answered by our experts.